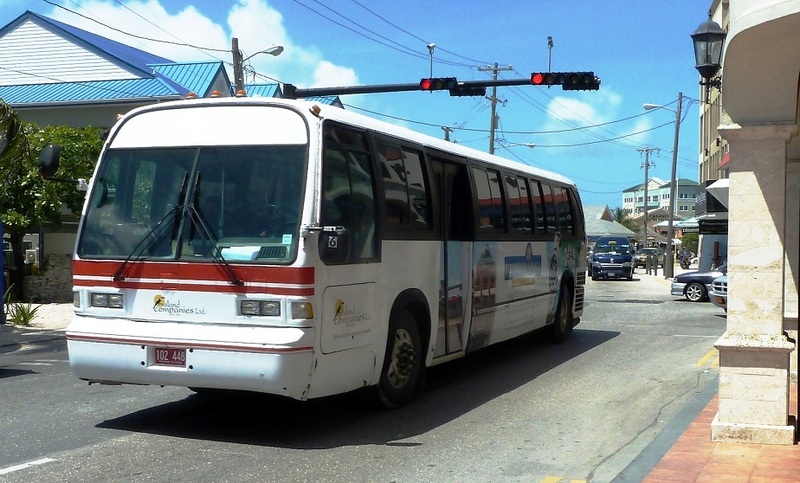 This seems to be a TMC RTS-08 bus in the Cayman Islands. The oddity is the door on the street side. Has to be an after market custom job perhaps local. Note the different style doors as compared to the right side doors as seen though the front window. The Cayman Islands are a British Overseas Territory. They probably drive on the left. The door on the "other" side lines up with the "sidewalk" side to accommodate the left side drive.